Javan (Jay) Ottoson is president and chief executive officer of SM Energy. 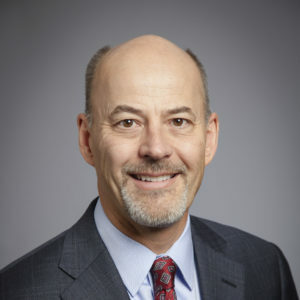 Mr. Ottoson joined the company as executive vice president and chief operating officer at the end of 2006. He was elected to the board of directors in 2014. Immediately prior to joining SM Energy, Mr. Ottoson was senior vice president of Drilling and Engineering with Energy Partners, Ltd. in New Orleans, Louisiana. He has 28 years of experience in the energy industry, having started his career working for ARCO as a summer intern in the company’s Houston refinery. After his graduation from Colorado School of Mines with a bachelor of science degree in chemical and petroleum refining engineering in 1980, he joined ARCO Coal in Denver as a synfuels process development engineer. Mr. Ottoson moved to Alaska with ARCO in 1982 and spent the next 16 years working in jobs with progressively more responsibility in the company’s oil and gas operations. Some of the positions Mr. Ottoson held were Operations superintendent at Prudhoe Bay, vice president of Operations and Development in the Permian Basin, and commercial director for ARCO’s subsidiary operating in the U.K. North Sea. In 1998, he was appointed president and resident manager of ARCO China, Inc. in Beijing, PRC. At that time, ARCO was the largest foreign producer of natural gas in China and was building additional businesses in LPG importation, downstream marketing and power generation. Mr. Ottoson is a native Coloradoan and grew up on a farm outside of the small community of Eaton in north-central Colorado.